Whole slide imaging systems are scanners used to view the sample slides effectively. Some of the whole slide imaging systems are small and are used to view a single slide sample, whereas some scanners are big and give an image of hundred slide samples simultaneously. Whole slide imaging system consists of a microscope, light source, computer and a camera attached to it. The light source can be a bright light source or a fluorescent light source. Whole slide imaging system is also incorporated with a software, which is used to manipulate the slide view. The camera captures the slide image, which can be viewed on the computer screen. Research on personalized medicines is gaining popularity in the cancer research industry, which has increased the need for effective and reliable diagnostic procedures and is expected to drive the growth of the whole slide imaging systems market. The whole slide imaging systems market is in the growth phase as a large number of companies are currently focusing on mergers and acquisitions. Tele pathology is gaining popularity due to the feature of remote sharing of the slides as compared to other conventional slide sharing practices. Growing research & development activities in cancer treatment and personalized medicines is expected to provide prominent growth opportunities for the whole slide imaging systems market. The growing demand for laboratory diagnosis procedures is expected to fuel the growth of the whole slide imaging systems market. The pathology industry has witnessed significant transition in terms of sample imaging. Presently, whole slide imaging is reasonably dominant in the research and development sector. Increase in the research and developmental activities is also projected to fuel the growth of the whole slide imaging systems market. Likewise, commercialization of multipurpose instruments with cloud-enabled technologies is also expected to drive the growth of the whole slide imaging systems market. The high cost of whole slide imaging systems & high maintenance and installations costs are the prime factors projected to hamper the adoption of whole slide imaging systems across resource poor countries. The whole slide imaging systems market is marginally regulated through commercial guidelines, which can lead to lack of clarity about the samples to be viewed. Lack of awareness about the digital pathology is also expected to limit the growth of the whole slide imaging systems market. The report offers a comprehensive taxonomy of whole slide imaging systems market based on product type, end user and region. Based on product type, the whole slide imaging systems market is segmented into bright field scanners and fluorescent scanners. By product type, slide imaging systems segment accounted for 65% of the global whole slide imaging systems market in 2017. Based on end users, the whole slide imaging systems market is segmented into hospitals, diagnostic laboratories and research laboratories. The whole slide imaging systems market has been analyzed across regions of North America, Europe, Latin America, Asia Pacific excluding Japan (APEJ), Japan and MEA. North America is projected to be dominant regional market for whole slide imaging systems due to increasing need for reliable and real-time pathology solutions for offshore research activities in the healthcare sector. North America and Europe are expected to hold three-fourth share of the global whole slide imaging systems market, owing to early adoption of novel technologies in these regions. The whole slide imaging systems market has presence of many key players. The report tracks some of the key companies operating in the global whole slide imaging systems market, including PerkinElmer Inc., Koninklijke Philips N.V., Inspirata Inc., Ventana Medical Systems, Inc. (Roche), Leica Biosystems Nussloch GmbH (Danaher Corporation), Olympus Corporation, Hamamatsu Photonics K.K., and 3DHISTECH Ltd. 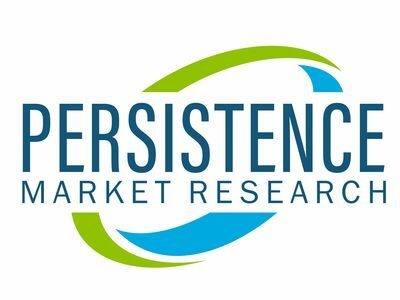 The information presented in this review is based on a PMR report, titled "Whole Slide Imaging Systems Market Segmentation By Product Type - Scanners and services; end user - hospitals, diagnostic laboratories, and research centers- Global Industry Analysis, Size, Share, Growth, Trends, and Forecast 2018 - 2026."